College and university students and young job seekers are being given the opportunity to meet the company at this years Manufacturing Show from Made in the Midlands. 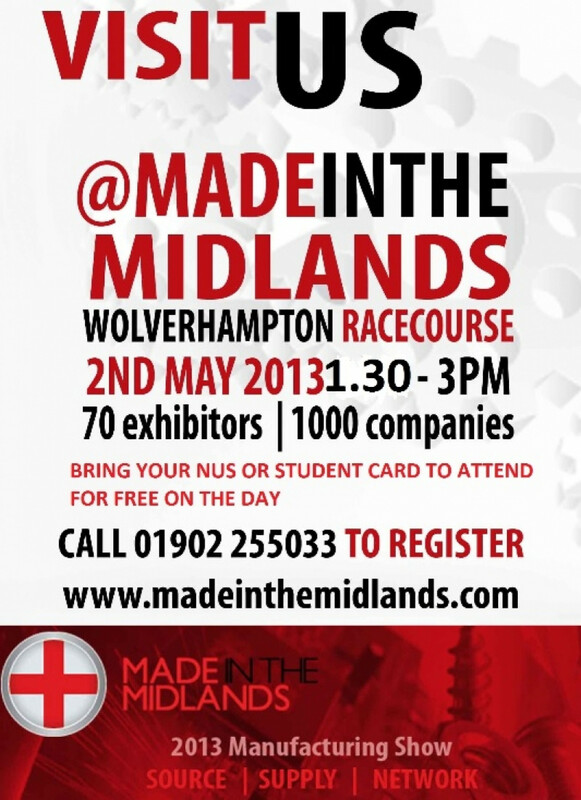 The event, being held on Thursday 2nd May at Wolverhampton Racecourse, will open its doors to students currently enroled on college or university courses which are interested in pursuing careers in the manufacturing and engineering sector, to meet a range of its member companies and guests. The event will be free for students and young job seekers to attend, upon presentation of their NUS or student card from 1:30pm onwards. Made in the Midlands is offering the ideal opportunity to speak to over 70 Midlands based manufacturing and engineering companies and around 1000 attendees from national manufacturing and engineering companies including Jaguar Land Rover and other key companies in the automotive, aerospace, rail, oil and gas and defence supply chains. As an exhibition exclusively dedicated to manufacturers and engineers from raw material supply through to OEM, the manufacturing show is the place to be to gather an informed view of what is happening in the Midlands supply chain and meet hundreds of directors from across the manufacturing and engineering sector. The exhibition is being held in the main concourse area of Wolverhampton Racecourse. Student tickets are now available. To obtain yours or for further information please call 01902 255033.